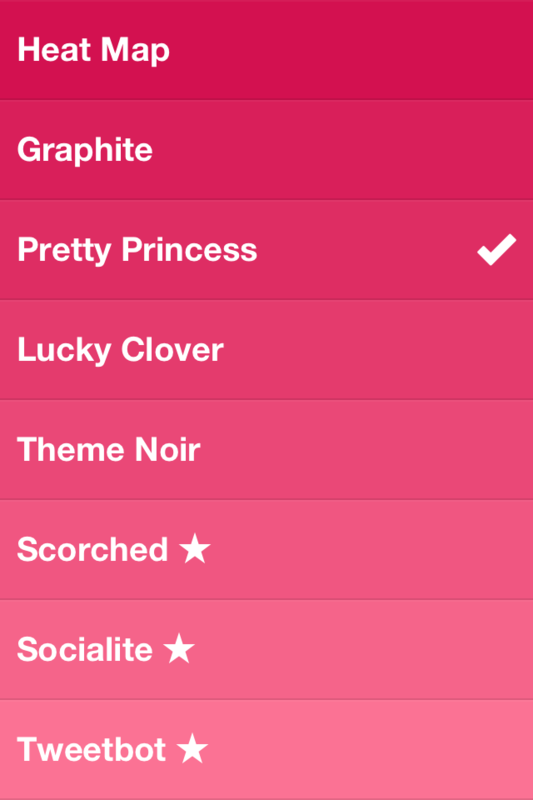 Preshit Deorukhkar’s Beautiful Pixels blog features apps that look and feel great. Most of the articles are about iOS apps, but Android pops up every now and then. Today marked the first installment of his new weekly feature, The Platter. The Platter points to apps, news, video, etc that he thinks will resonate with the BP audience. Go check it out! Imagine that every app on your iPhone offered up its best features as little blocks that YOU could put together to create the apps YOU need in about the same amount of time it takes you to set a reminder or look up an address. Maybe we’ll see something like this soon! Application scripting has a long history. The Mac, for instance, has had AppleScript since 1993. Even today, many apps on the Mac (Acorn and Transmit, for instance) make their features available for users to combine with AppleScript to create personalized workflows. Apple kicked it up a notch with Automator in 2005 making it much easier to combine services from a variety of apps. See Sal Soghoian’s site for some great examples of what’s possible – create a tour in Google Earth, convert a bunch of essays into audio files for your commute. AppleScript isn’t alone. MIT’s Scratch is a graphical programming language with a focus on usability that is now available for Android as Google App Inventor. It shares the Android platform with a few other scripting tools – Locale, for instance, will trigger functionality on your Android phone when a set criteria happens (“Lock my screen when I leave my home or office”, etc). If This Than That has built up an excellent set of scriptable web services giving you the ability to automate the internet (“SMS me AAPL drops below $500”, “When I star items in Google Reader, send them to Instapaper”). If you’ve ever used Outlook’s Inbox Assistant, you probably have an idea of how a simple interface can give you a lot more control of your applications. 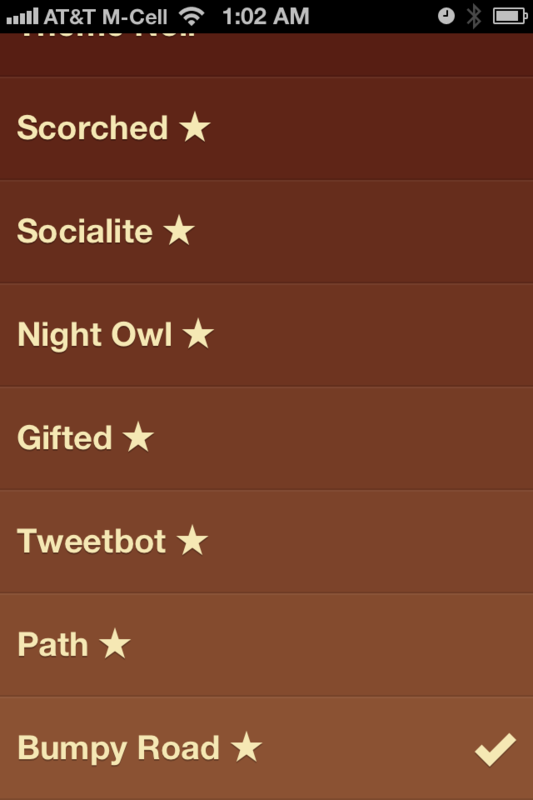 Clock + Spotify – Give Spotify a sleep feature – turn it off after 30 minutes. Shazam + Spotify – Find out what I’m listening to and play the whole album. Settings + Settings + Settings + Settings – When I click a button on my home screen, lower my brightness, turn all notification sounds off (but leave phone sound on in case of emergency), turn on my 7AM alarm – Now my phone is in night mode! iMovie + Camera + Weather + Image Editor + Clock – During a blizzard, take a picture of the street every 5 minutes (with the temperature super-imposed) for 3 hours and combine the frames into a movie. 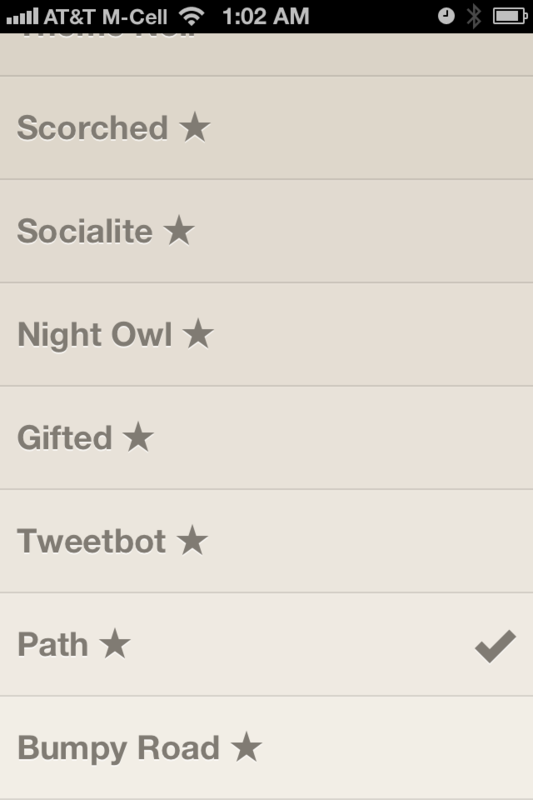 Settings + Instagram – When any of my friends posts an instagram image, use it for my home screen background. Maps + SMS + Clock – Text my kids’ current location every few minutes while they are trick-or-treating. 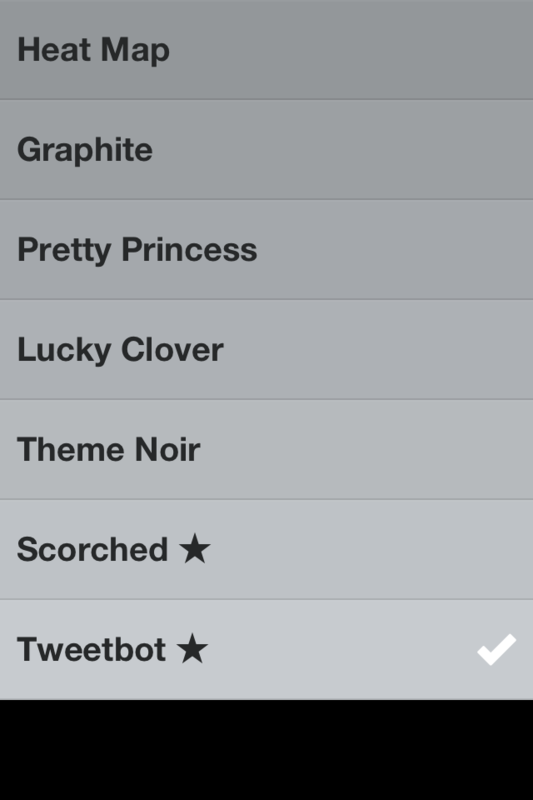 Stock + Settings + Notifications – If AAPL drops below $500, turn off mute, turn the volume way up and sound an alarm. Phone + Harvest – When a call comes in from a client, make a note of the time and duration in Harvest. Wifi Settings + Instacast – As soon as wifi is connected, start downloading the latest podcasts. Alarm + Notification + TuneIn Radio – When it’s time for my favorite radio show to start, notify me with the option to start TuneIn Radio on the correct station. I’m sure some of these exact recipes are available in a single app, today. 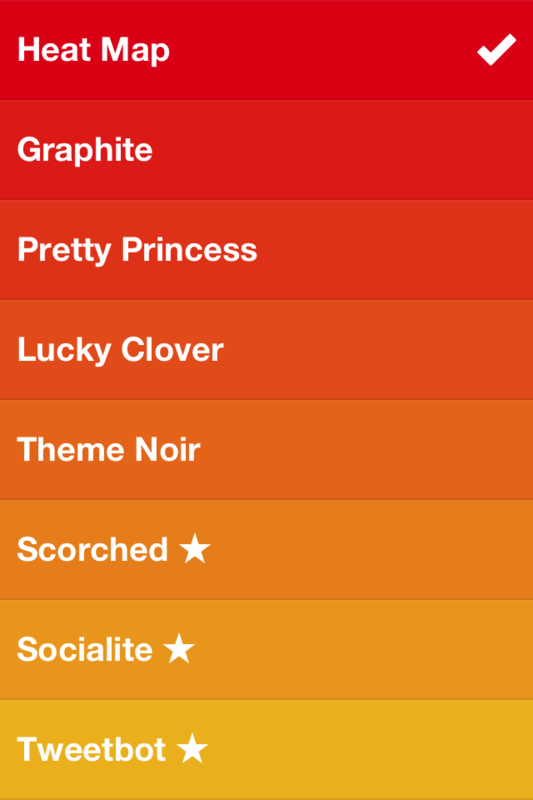 The trick or treat example could be achieved with Find My Friends or Glympse, for instance. But scripting would let you customize the ingredients to get exactly what you want. Apple and the iOS community has been building a lot of bite-sized apps that are highly specialized. 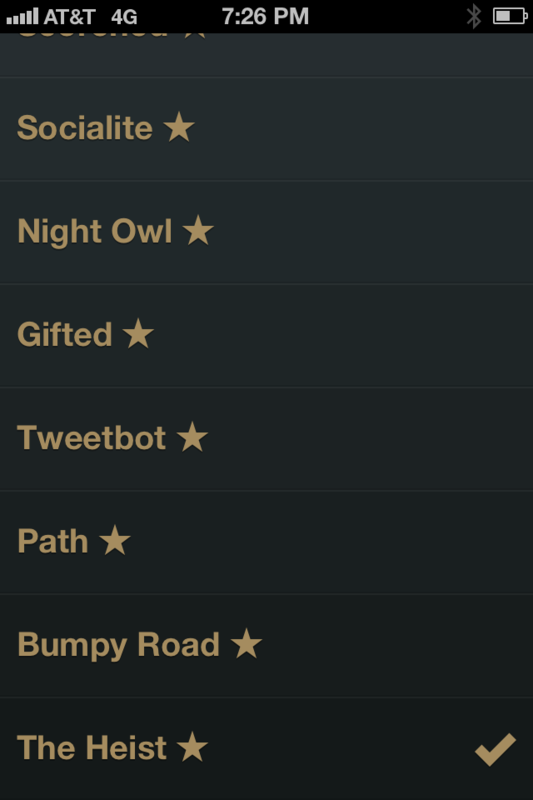 Each of these apps has something to offer as a building block in a highly scriptable device. Scripting on iOS (done right) could bring us a more personalized, streamlined and accessible mobile computer. 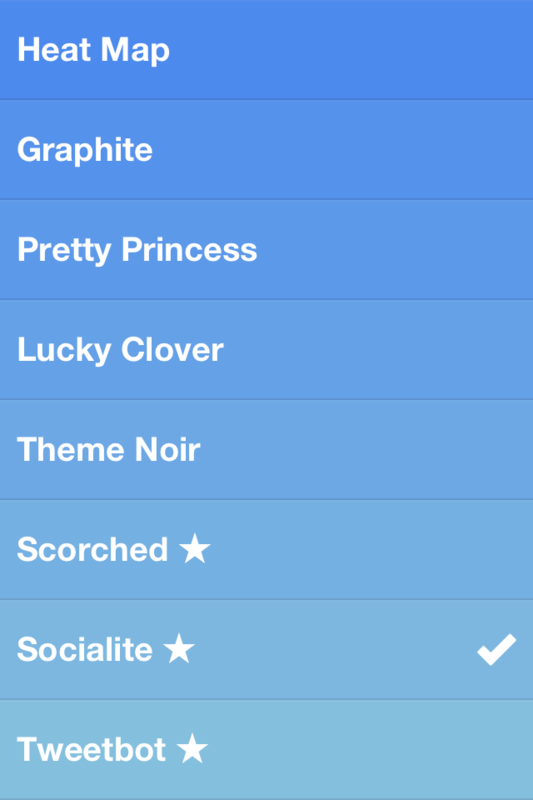 So, there’s a new iOS Task app in town. Clear has stunning visuals, animations and sounds. 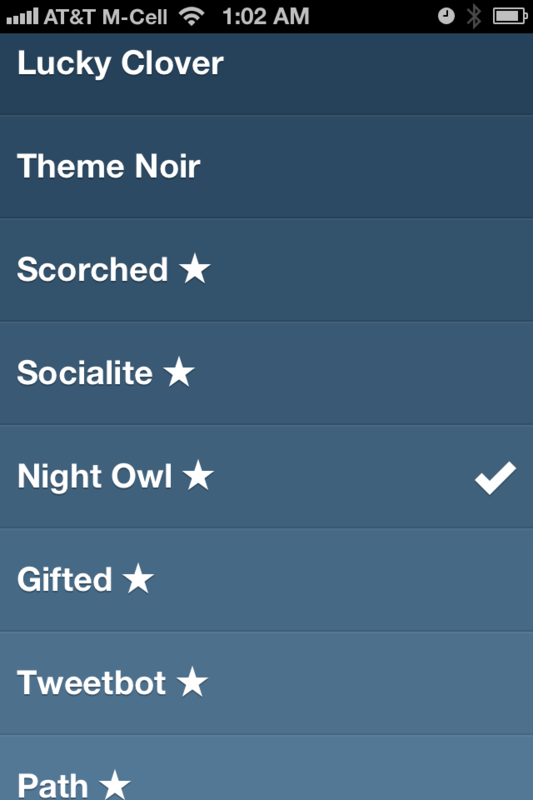 I had a blast moving the vast majority of my non-dev tasks into it tonight. More detail at TechCrunch and Shawn’s blog. 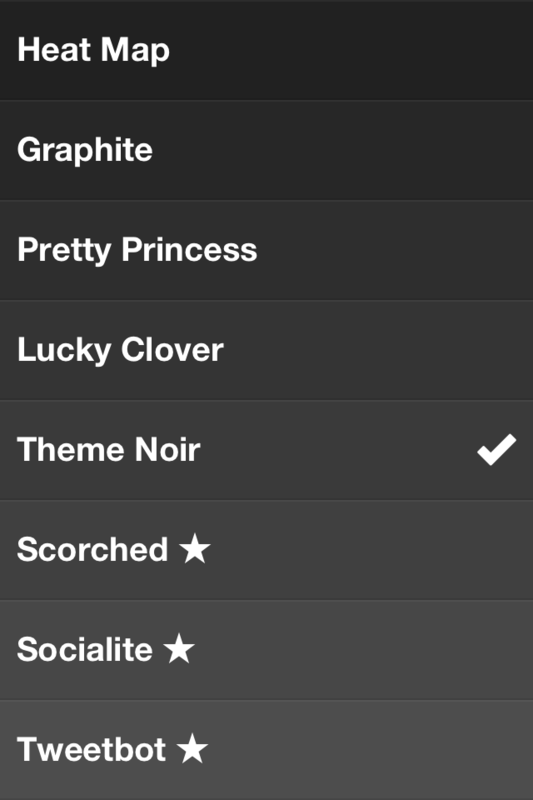 One fun feature is unlockable themes. 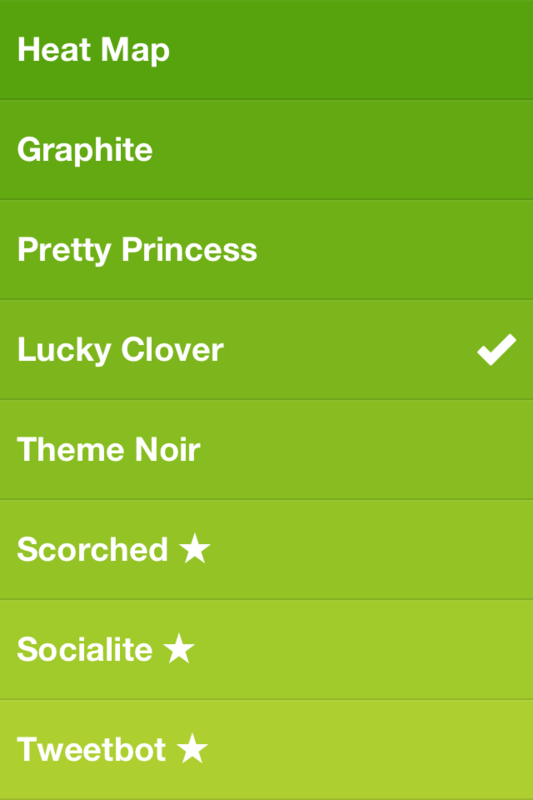 Update: 7 more unlockable themes (for a total of 15) shipped for Clear on April 23rd. 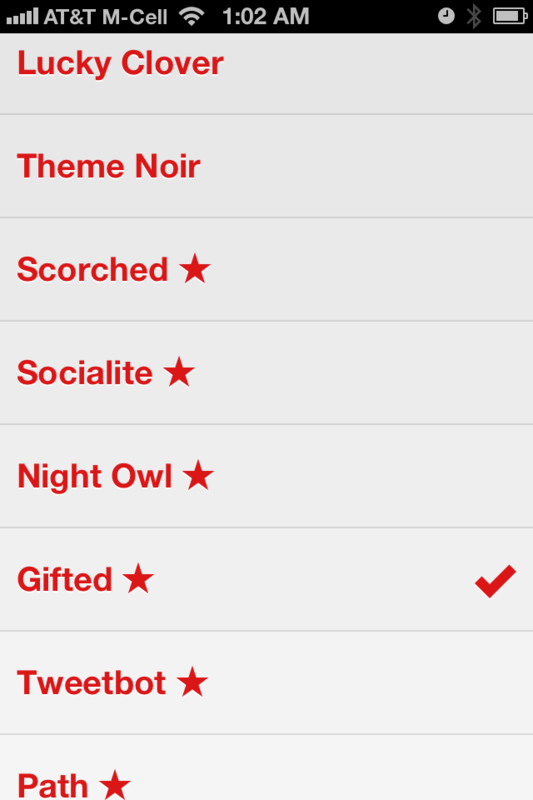 TouchArcade lists the game related themes and CNet has a rundown of the others. 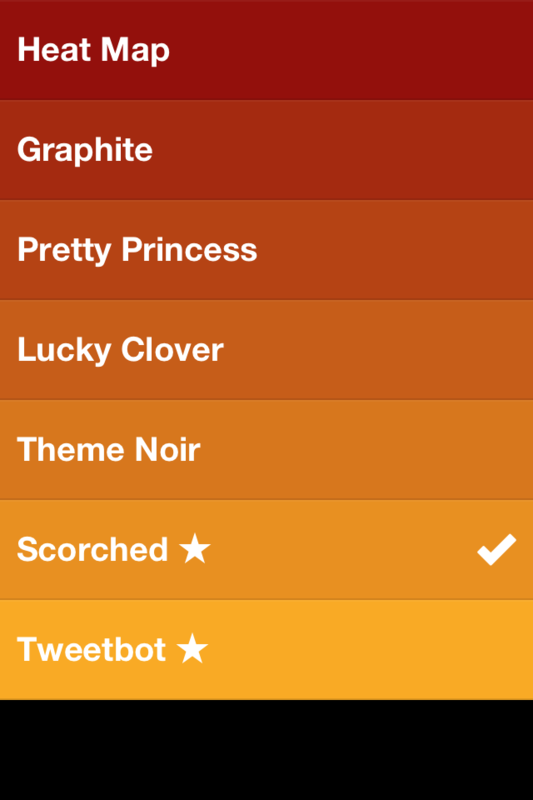 I’ve unlocked 5 of the new themes so far. Details follow. I just finished reading Adam Lashinsky’s new book, Inside Apple. It’s very good. Lashinsky’s subtitle for the book is “How America’s Most Admired – And Secretive – Company Really Works”. I was captivated from start to finish and Lashinsky’s analysis is great, but if you’ve been following Apple heavily for several years, you aren’t going to be shocked by the information or the conclusions. This is not a treasure trove of leaked secrets from the infamous Apple University management training program. This is a well thought out collection of insights with a well chosen set of supporting material. A good amount of that supporting material is new (or at least new to me). If you normally read as much as you can about Apple’s business practices, and you want to see the whole picture in one place, you’ll like this book. It’s a very quick read and Lashinsky does not over-explain. You will come across tidbits that you’ve never heard before. If you do not know much about Apple’s internal culture but are a fan of Apple products and you want to hear how those products come to market, you’ll like this book. The first 7 chapters each focus on a characteristic of Apple’s business practices. These chapters highlight ways that characteristic has helped Apple, while carefully noting how it impacts Apple’s employees, partners, contractors, suppliers, competition, customers and the press. For instance, Apple’s leadership model and internal secrecy help it create efficient teams, and fulfilling work, but the author’s sources did not describe working at Apple as fun. These 7 chapters are “Rethink Leadership”, “Embrace Secrecy”, “Focus Obsessively”, “Stay Start-Up Hungry”, “Hire Disciples”, “Own Your Message”, “Overwhelm Friends/Dominate Foes”. Chapters 8 and 10 (“Plan for After Your Successor” and “One More Thing”) deal with Apple’s post Jobs strategy, including the preparations to ensure Apple’s values will remain intact, thoughts on the leaders involved and challenges that Apple-Post-Jobs will face. Lashinsky showed great restraint in saving most of his speculation about Apple’s future for these two chapters. Chapter 9 (“Inspire Imitators”) takes a look at other companies, some whose leaders came from Apple, some not. The idea here (I think) is to suggest that we can learn about Apple’s business practices by monitoring companies who will leverage practices and/or personnel that came from Apple. I’m not a heavy reader. It’s extremely rare that I’ll read a book in one sitting. This one kept me hooked start to finish – I could not put it down. The stories in “Own Your Message”, and the Apple Store details in “Overwhelm Friends/Dominate Foes” were particularly informative and fun. I honestly can’t imagine what the state of the art in personal computing would be today without Steve Jobs. Look at the difference between the “smart” phones of 2006 (pre-iPhone) and the smart phones of 2011 (post-iPhone). We owe a lot to him and the team of people he put together and inspired over the years. I’m looking forward to his biography, but word is that he and a team put together a manifesto of sorts to guide Apple (Apple University). That’s what I really want to read. Steve Jobs was an amazing, driven, creative man that made my life better. I’ll miss him.